Increase both eCommerce and in-store revenue using digital content for effective merchandising, product features and store layout strategies to streamline the shopping experience. 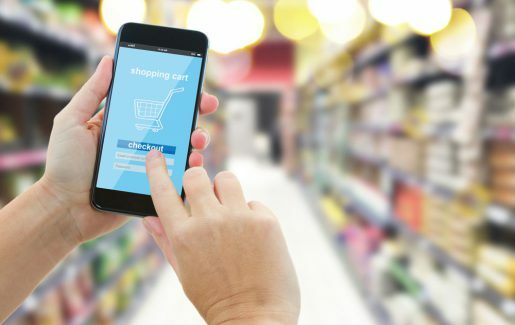 Retailers and distributors must attract shoppers with the right mix of products and promotional content as they compete with disruptive marketplaces as well as pure play retailers and e-retailers. Product content that is inconsistent, incomplete, and inaccurate and the need to create an integrated online presence all provide significant technological and resource hurdles. 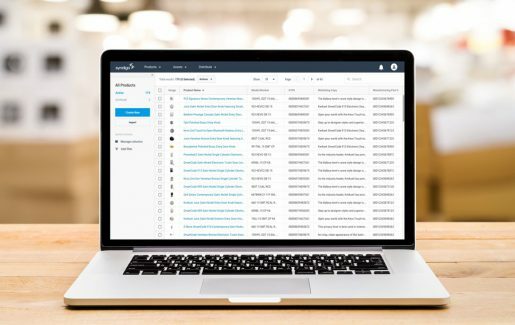 Syndigo offers a seamless end-to-end content management experience – from warehouse to the shelf and eCommerce – to allow for easier collaboration with the largest global network of brands. Get access to the most comprehensive, enhanced and rich media content available that helps drive consumer engagement and sales. Drive consumer loyalty and engagement – by enabling a consistent, seamless online and in-store product experience for your shoppers. Increase conversions – by providing complete information that enables full product transparency. Faster time-to-market – by ensuring product content is consistent throughout your supply chain. Provide accurate, quality and engaging Core and Enhanced Content provided by suppliers or created by us to meet your in-store and eCommerce initiatives to convert shoppers. Access product images, descriptions, weights and measures, attributes, categories and company information to drive your space management and in-store merchandising programs. Use rich product detail to build eCommerce pages that create an engaging shopping experience to drive online sales conversions. Plan your store layout and optimize your planograms with accurate dimensions and images. Drive online digital shelf assortment to deliver personalized shopping experiences and allow consumers to search for items that qualify for specific nutrition or attributes. Execute effective in-store plans with attention-grabbing shelf edge strips and promotional tags. Lower re-stocking and re-set costs with easy-to-follow placement images. Receive and manage product content and digital media directly from supplier partners, formatted to your standards. Ensure complete, accurate and quality product information. To help you gain better visibility and control across your supply chain, Syndigo provides the product information to maximize the efficiency of your operations. Access pallet, case, tray and item information from your suppliers to ensure more accurate slotting and transportation planning. With Syndigo’s GDSN data pool services, you can ensure your suppliers are providing industry standard product information to drive your systems. As online searches and sales continue to increase, it is important to share what is available with the best digital assets a supplier has available. Syndigo helps your suppliers to deliver better images, extended content and rich media to enhance your online presence. Our Content Publisher solution provides you a simple plug-and-play option, which enables your suppliers to seamlessly integrate into your existing site, maintaining your brand. In-store activity still represents the majority of consumer goods sales, and Syndigo can deliver efficiency at the shelf. Syndigo’s platform can seamlessly integrate into your system, ensuring the content you need is delivered in the proper format. Our in-store solutions can assist you from planning through re-sets and replenishment, including planogram-ready data feeds, branded shelf strips, and advertising-ready content from your supplier partners.